Formerly known as the Great Repeal Bill, the European Union (Withdrawal) Bill (PDF, 303KB) is a UK Government Bill that aims to repeal the European Communities Act 1972, convert existing EU law into domestic UK law and give ministers power to make secondary legislation. The UK Government published its White Paper, Legislating for the United Kingdom’s withdrawal from the European Union (PDF, 379KB), on 30 March 2017. Throughout the process, the External Affairs and Additional Legislation Committee and the Constitutional and Legislative Affairs Committee consulted together, before producing separate outputs. Both Committees held a public consultation to gather evidence on this topic. the scrutiny processes and the role of the devolved legislatures. The External Affairs and Additional Legislation Committee began work on the Bill in March 2017 with a view to ensuring that the implications for Wales are understood and acted upon by the UK Government. This followed consideration of 13 written submissions and two committee hearings. In June 2017, The Constitutional and Legislative Affairs Committee set out the principles that should underpin the Bill as part of its scrutiny of the Great Repeal Bill White Paper. The External Affairs and Additional Legislation published a report on the ‘Great Repeal Bill’ White Paper in June 2017. Read the full report (PDF 1MB). The re-named European Union (Withdrawal) Bill received its first reading in the House of Commons on 13 July 2017. Following this, both the External Affairs and Additional Legislation Committee and the Constitutional and Legislative Affairs Committee issued a call for further written evidence in July 2017 and held a stakeholder conference to debate the European Union (Withdrawal) Bill on 18 September 2017. The Committees were joined by Welsh stakeholders and leading constitutional and legal experts from across the UK to explore the implications of the European Union (Withdrawal) Bill for Wales. On 12 September 2017, the First Minister, The Rt. Hon Carwyn Jones AM, laid before the National Assembly a Legislative Consent Memorandum in respect of the Bill. The Business Committee referred the LCM to the External Affairs and Additional Legislation Committee and Constitutional and Legislative Affairs Committee for consideration on 19 September 2017. The External Affairs and Additional Legislation Committee published its interim report on the EU Withdrawal Bill: Legislative Consent Memorandum (PDF, 426KB) on 15 December 2017. The Constitutional and Legislative Affairs Committee published its report on the EU Withdrawal Bill: Legislative Consent Memorandum (PDF, 443KB) on 18 December 2017. Both Committees recommended that the Assembly withhold its consent for the Bill in its current form. In October 2017, the Chair of the External Affairs Committee wrote to all (PDF, 156KB) Welsh MPs with six objectives (PDF, 723KB) for changing the European Union (Withdrawal) Bill. Alongside these objectives the Committee sent suggested amendments (PDF, 83KB) to achieve its six objectives. The Committees suggested amendments were tabled by Stephen Kinnock MP, but were not accepted at Committee stage. The Bill passed the House of Commons in 17 January 2018 before entering the House of Lords. The Committee agreed to write to (PDF, 170KB) Members of the House of Lords to draw their attention to the objectives of the Committee. These letters were sent on 19 February 2018 prior to the second reading in the House of Lords. On 23 March, the Committee sent additional correspondence (PDF, 151KB) to members of the House of Lords regarding the amendment of clause 11 of the European Union (Withdrawal) Bill. On Monday 16 April, the Committee held a scrutiny session with the Cabinet Secretary for Finance focussing on the EU Withdrawal Bill and a range of issues relating to Brexit. On Monday 30 April, the Committee held an evidence session with Robin Walker MP and Chloe Smith MP to discuss the EU Withdrawal Bill, the United Kingdom’s future relationship with Europe and the implications of trade policy on Wales. On Monday 14 May, the External Affairs and Additional Legislation Committee held a scrutiny session with the First Minister for Wales. The session focused on the implications of UK trade policy and the EU Withdrawal Bill. On Wednesday 7 March 2108, the Welsh Government introduced the Law Derived from the European Union (Wales) Bill (PDF, 150KB). The bill intended to preserve EU law covering subjects devolved to Wales on the withdrawal of the UK from the EU. The committee discussed the Bill during a scrutiny session with the Cabinet Secretary for Finance. The Stage 1 debate on the Law Derived from the European Union (Wales) Bill took place on Tuesday 13 March. Stage 2 consideration of the Bill took place in the Committee of the Whole Assembly on Tuesday 20 March. Stage 3 and 4 consideration of the Bill took place on Wednesday 21 March before passing the Assembly on the same day. On Friday 27 April, the Welsh Government laid before the National Assembly a Legislative Consent Memorandum (PDF, 269KB) (Memorandum no.2) on the Bill. The Welsh Government agreed to consent to the Bill following an agreement (PDF, 125KB) to amend the EU Withdrawal Bill between the Welsh and UK Governments’. 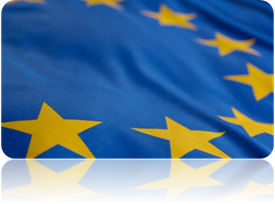 The External Affairs and Additional Legislation Committee published its report: European Union (Withdrawal) Bill - Progress towards delivering our six objectives (PDF, 437KB), on Monday 14 May. On 15 May, a Legislative Consent Motion on the EU (Withdrawal) Bill was agreed during Plenary, granting the Assembly’s consent for the Bill. The EU (Withdrawal) Bill received Royal Assent on 26 June 2018, becoming an Act.